From “Hairy” Potter to Robert “Cat” inson to Count “Bark”ula; people love dressing up their four-legged friends for Halloween. However, it’s not always easy to get furry pals in costume. Pet-lifestyle author/expert and PETCO spokesperson, Sandy Robins, shares her do’s and don’ts of including pets in Halloween festivities so they don't go running for cover when it's time to trick-or-treat. Purchase the outfit well in advance and allow your pet to try it out at home on several occasions. Dress your pet right before an event. If participating in a costume parade or contest, dress your pet just before the line-up, as some costumes can be warm. “Take plenty of water along for your pet to lap up,” says Robins. Keeping your pet hydrated is very important. 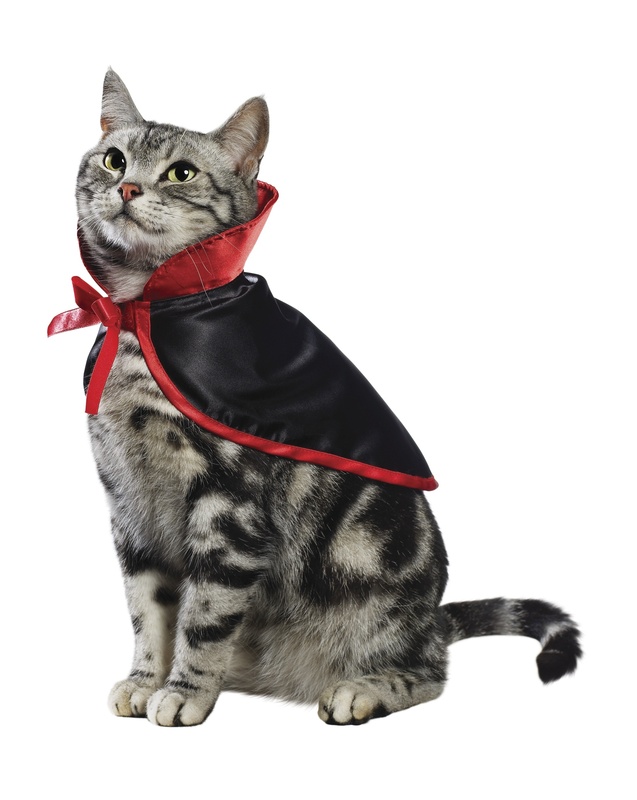 To find a Howl'oween event in your area, use the store locator at http://www.petco.com. “The summer blockbuster movies are always a great source of inspiration for costumes,” says Robins. “No doubt that this year we will see a lot of Persian canine princes, Ironman doggies and Twilight vampires.” Other perennial favorites include ladybugs, jack-o-lanterns and devils. 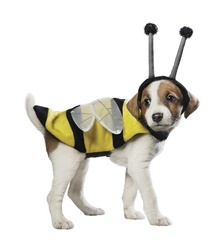 The bumblebee remains the most popular doggie costume of all time. Get creative! If you want to step outside the box, you can turn your cat into a Chippendales dancer with a festive bow tie or your mutt into Bob Marley; your options are endless. “Large stores, like PETCO, sell a variety of fun accessories that will help you create the best costume for your pet,” says Robins. Consider other creative ways to show your spirit. If your pet simply refuses to dress up, consider a Howl’oween-inspired bandana or collar and leash patterned with pumpkins and sculls. Robins also suggests, “a leash with flashing LED lights for safety. This can be a fun accessory too.” Look for soft, lightweight fabrics with no loose ties. Also, avoid any ornamentation that could possibly be swallowed. Don't keep your cat in costume too long. Cats especially aren’t fond of wearing clothes, so keep the session short, just long enough for a photograph! To celebrate the Howl’ oween spirit, PETCO is sponsoring a costume contest. Pets are invited to post their photos and say why they chose their Halloween costume for a chance to win over $1,000 in prizes. The public can go to: http://www.petco.com/contest to enter and vote for their favorites through October 29, 2010. As one of the country’s leading multi-media pet lifestyle experts and author, Sandy Robins, documents the wonderful relationship that we have with our pets highlighting trends and innovative ideas as they happen. Sandy documents this industry every step of the way. Her award-winning work is very visible on many of the country’s leading pet platforms such as MSNBC.com. She is also the lead lifestyle writer on MSN’s dog-centric website DogCentral.MSN.com and a regular contributor and columnist in multiple national publications such as Dog Fancy, Modern Dog and Cat Fancy. Sandy is an avid campaigner for no-kill animal shelters and law that protect animals everywhere. PETCO is a privately held specialty retailer that provides products, services and advice that make it easier for our customers to be great pet parents. We operate more than 1,000 stores in 50 states and the District of Columbia, as well as a leading pet products and information destination at http://www.petco.com. Our nonprofit organization, The PETCO Foundation, has raised more than $60 million since its inception in 1999 to help promote and improve the welfare of companion animals. In conjunction with the Foundation, we work with and support about 6,200 local animal welfare groups across the country to help find homes for more than 200,000 adoptable animals every year.